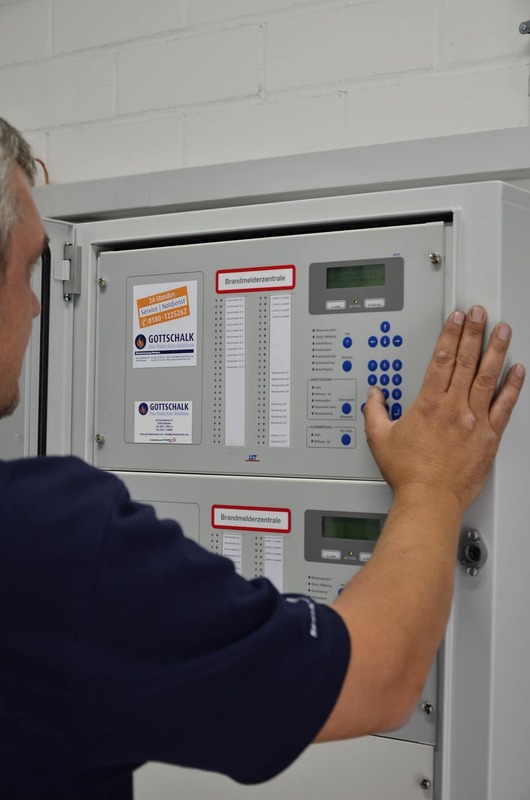 We use state-of-the-art gas extinguishing systems for valuable items and equipment, computer systems, and rooms with electrical or cable installations. The extinguishing effect is achieved by displacing oxygen from the seat of the fire, causing it to suffocate. The gases’ heat binding capability also plays its part. There are virtually no emission limits for argon when used as an extinguishing agent. It is heavier than air, which makes it an ideal extinguishing medium. 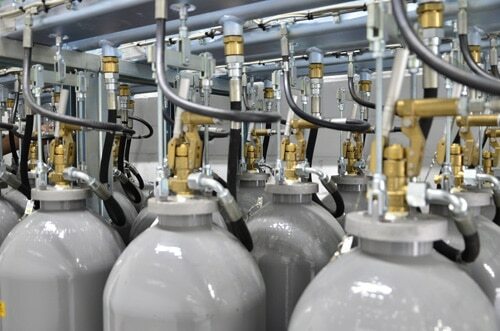 Carbon dioxide (CO2) is a well-established extinguishing gas for protecting equipment and rooms. A depressurized network of pipes and open extinguishing nozzles covers all areas of the building that need protecting. The extinguishing agent is conveyed through this network to the extinguishing cylinders under high pressure and is distributed evenly in the area to be protected. Prior to the agent being released, an alarm is activated so that the area can be evacuated. At the same time, doors and other openings can be closed and technical facilities operated as necessary. The activation of further local alarm systems sends a message to a unit that is permanently manned (normally the fire brigade). Replacing the CO2 cylinders after the fire has been brought under control means that the system is soon operational again.